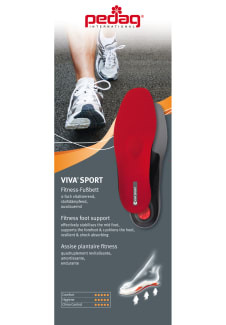 Innovative sports foot support for all seasons. Anatomically shaped foot support with heel cushion, metatarsal pad and arch support for more endurance especially during impact sports. Hight tech foam is shock absorbing and insulates against cold.